A woman was killed after driving her car the wrong way on southbound I-75 Sept. 22 and striking a tractor trailer in Pasco County. "Unfortunately 2014 has been a very tragic year, especially dealing with the wrong way crashes, and we can't really say why this year we've seen such the number we have,” said Sgt. Steve Gaskins with Florida Highway Patrol. "Frequently we have years where there’s very few that we have crashes to begin with or wrong-way incidents to begin with. So again, this year is an anomaly." The latest crash, Monday night near Crystal River, killed two when a driver going southbound in a northbound lane of U.S. 19 hit another car. The driver of that vehicle, Marianne J. Campbell of Fort Lauderdale, was taken to an Ocala hospital and was in critical condition at last report. And in Tampa early that morning, a wrong-way drunk driver was arrested on I-275. There were no injuries in that incident, but since February, 13 people have been killed in six wrong-way crashes on Tampa Bay roads. The stories of these crashes, and arrests of others who have been stopped by law enforcement for driving the wrong way, have people looking for an explanation. Impairment seems to be a major cause. In four of the accidents, toxicology reports show a Blood Alcohol Content level -- or BAC -- at .17 or higher. The legal limit is .08. 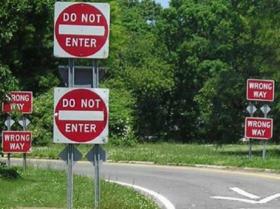 Toxicology reports haven't been released yet for the other wrong- way crashes. 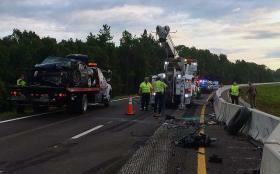 But FHP suspects alcohol was a factor in the fifth fatal crash, which happened in September on I-75. "In the cases that we have confirmed, we're looking at alcohol levels two and three times the legal limit, and you're talking about people that are so far intoxicated, that they're missing the entire world around them,” Gaskins said. Dr. Dary Fiorentino, a research psychologist who studies the impacts of drugs and alcohol on human performance, said you can't always tell by looking at someone if they've had too much to drink. "Somebody could be impaired without necessarily showing signs of intoxication, and it's really hard to judge impairment and that is why we go to great lengths to train police officers and drug recognition experts to detect those very subtle signs," Fiorentino said. "Very high level cognitive functions become negatively affected by alcohol at even relatively low BAC like .02., .03, .04, and so the decision to drive, which is a judgment call, is actually affected by the alcohol." A chart published by the Centers for Disease Control and Prevention shows how various BAC levels can affect driving ability, even at a very low level. "Once we start drinking, the decision to drive is affected by the alcohol, and that's why people think, ‘oh yes, yes, I can do it, of course I can drive,’ but in reality they can't and they shouldn't,” Fiorentino said. 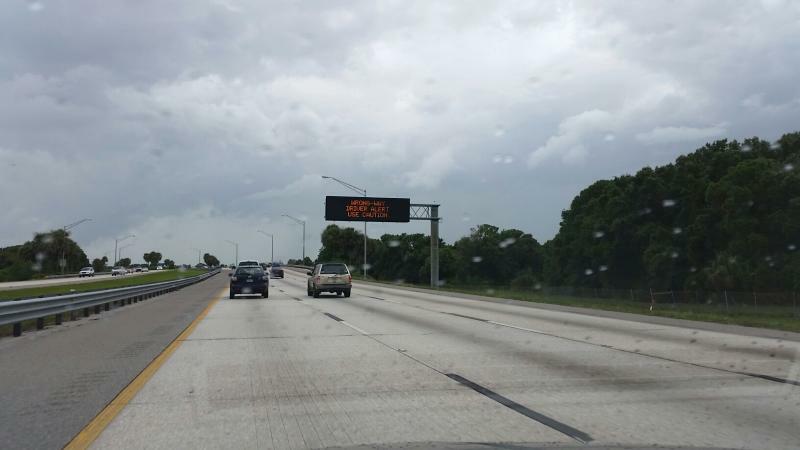 "Of course every interstate exit has the wrong-way signs, wrong way, do not enter, but we're looking at even more increased signage and looking at pavement markings as well to see how we can possibly stop this,” said Kris Carson, spokesperson for FDOT. Carson said it’s too soon to have results from the pilot projects. It was a tragic, horrific car crash on I-275 in Tampa. A driver was going south in the northbound lanes on an early Sunday morning. He ran head-on into a car carrying four University of South Florida students. The fiery crash killed all five.